The Sosa Brothers bring disruptive thinking to the payday loan, under-banked, micro-lending space. You must follow their lead. But, where are they now? 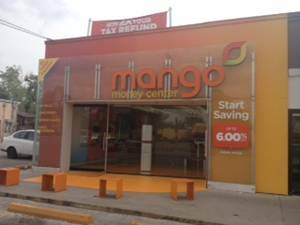 Payday loan clients and associates of mine cannot locate this Mango Finance Store. Can anyone help? I had a location around the corner from Mango, it is actually shown in this video, and I stopped in one time to find out exactly what they were doing. The fact that I had to ask that question shows a problem from the get go. I don’t think there was much here to copy, bad design, bad marketing, maybe nice colors? They never had customers, the flagship store was used by the Sosa brothers to raise investor money more than likely. They never opened another and this shut down 2-3 years after opening. Would’ve done better with a smoothie machine inside! Its a return to the past. An epoch ago I worked for Associates Finance. 900 friendly, local, professional 3 man offices. ” come in, sit down and let’s talk.” Wrote a lot of loans and helped a lot of people. I vote for a return to the good ol’ days! Agreed. Do the basics RIGHT and you can make serious $$. Meanwhile, can one of our Readers actually FIND this location, walk-in and witness real business going on? The pics sure look great! But I don’t think the store actually exists! I believe the retail store was/is located at 529 W. Oltorf Street. 25+ people have told us this is the address! Anybody see it? Walk into it? Use it? Yeah, this is really weird. I too have driven around Austin looking for it. I can’t find it! Vincent S. in Austin tells me he’s driven all over but this Mango Finance store does not exist. A few guys have told me they saw the building but it was all wrapped up and looked like a future yogurt shop!